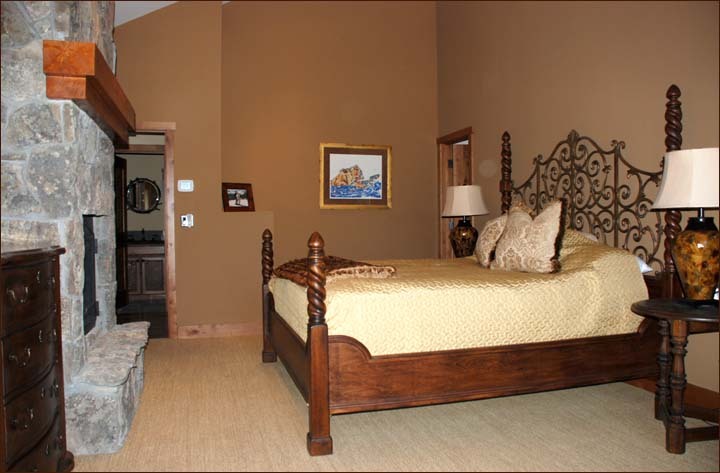 Elegance fashioned in the mountain arts and crafts period with attention to finish throughout this wonderful vacation home. 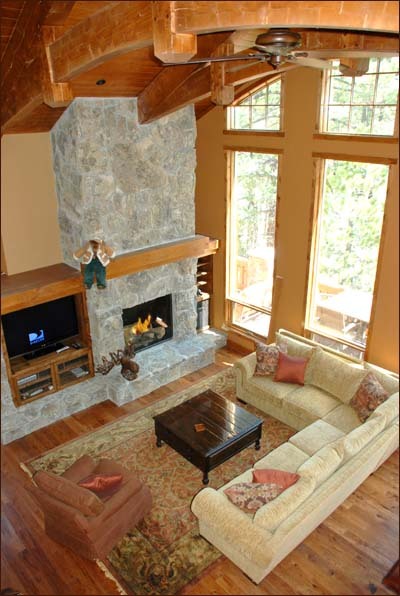 Stonegate luxury lodge home, crafted like it has been in Mammoth since the beginning! 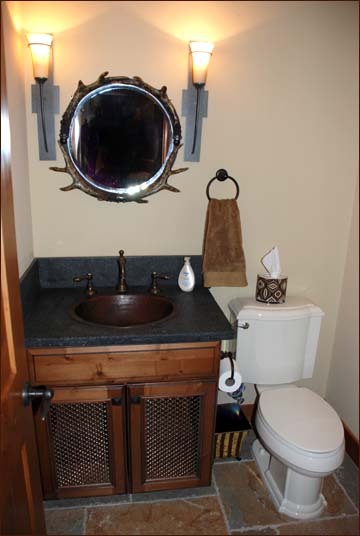 Hand hewn, log construction with 2 storey windows, enviable stone work, enjoyable decks with an added outdoor heater and a 2 car garage with additional driveway parking. 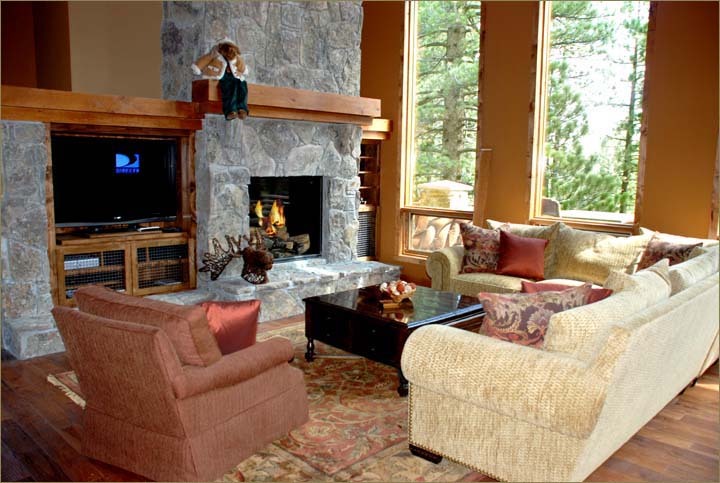 This private Mammoth vacation rental is true luxury and will make your Mammoth ski vacation - the stuff of dreams. 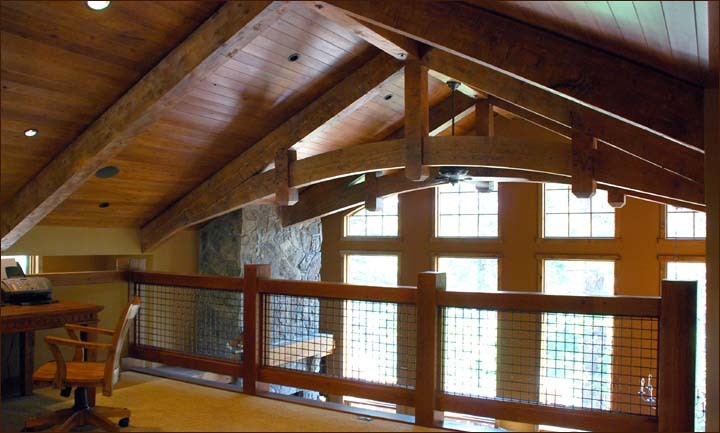 Hand hewn beams, parade across the vaulted ceiling. 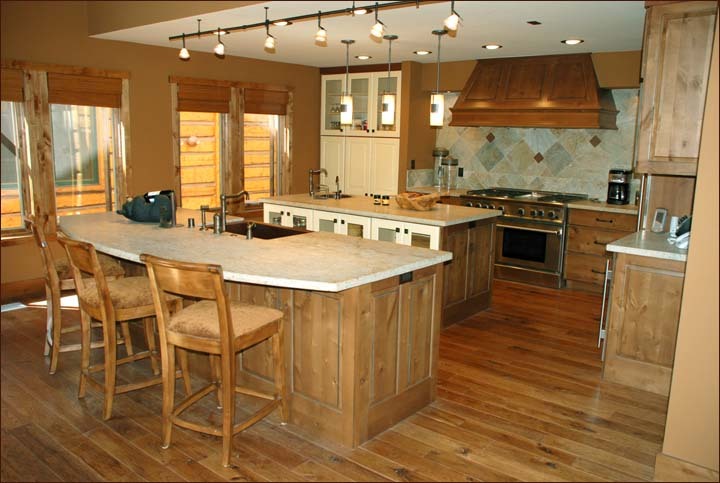 Distressed hickory floors, embrace the architecture. Spectacular two-flight windows, meld it all together for your personal enjoyment. 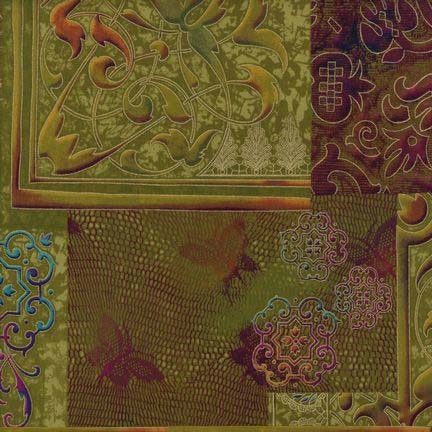 The jewel-toned furnishings are comfortable yet, lending to the exquisite ambience of this seemingly, old time lodge. An everytime wonderful eating experience to be had in this unique but craftsman-like, dining area. 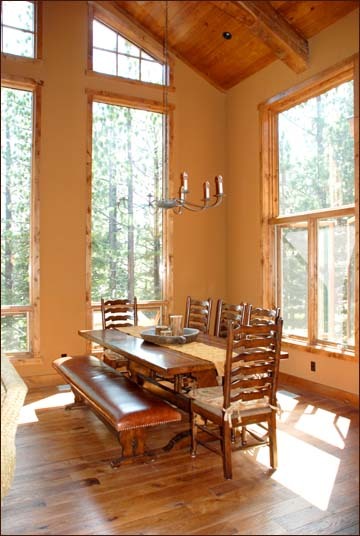 Reminds one of Yosemite's Awahnee Hotel dining room. 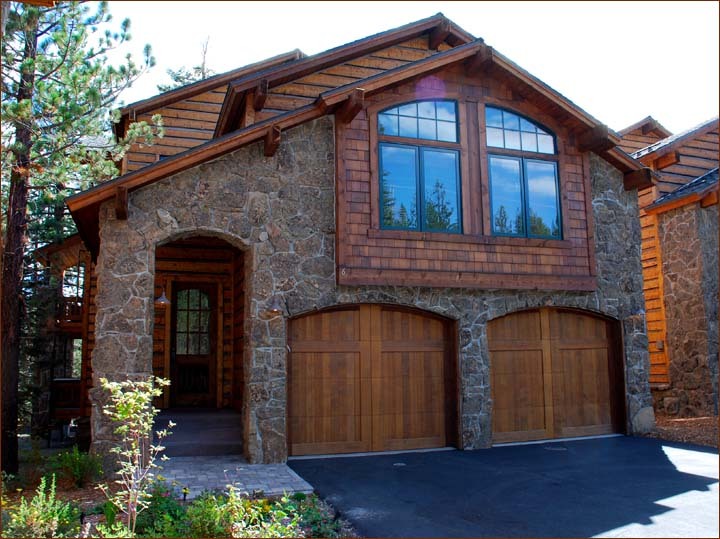 Mammoth's luxury Stonegate Lodge home for rent features an unbelievable kitchen; an area graced with solid, knotted alder and custom cabinetry. Distressed hickory floors, forever warming your step; a wine refrigerator, a Fisher Paykel 2 drawer dishwashers, an impressive Sub-zero refrigerator, DCS professional free standing range with double stainless steel convection ovens, natural stone counter tops; all contribute to this amazing kitchen and just a part of this inviting self catering holiday lodge. 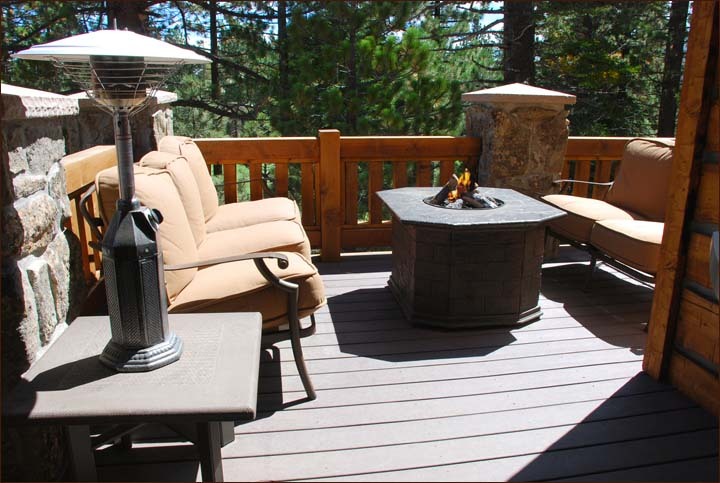 For those star gazing nights, conversations not forgotten, the deck is furnished with a comfortable style including a firepit and a heater. 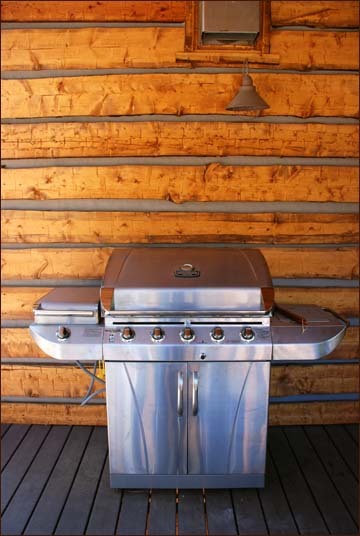 Waiting at attention to grill your favourite cuts, a gleaming, stainless-steel gas barbeque, all serenaded by the surround-sound music system with adjustable outdoor controls. 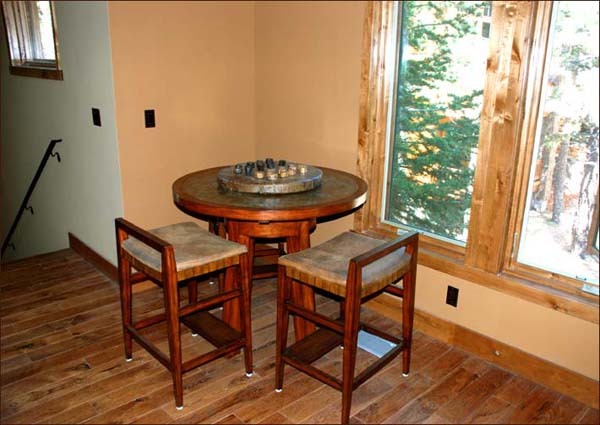 Doing double, a game table; to entertain and gaze out the constant windows ... and for your young snowboarders to have their own place for meals. 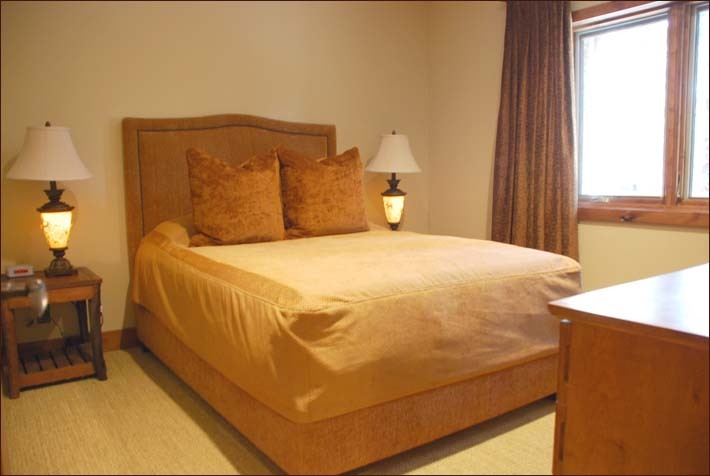 The master bedroom is superbly decorated yet, comfy and intimate. 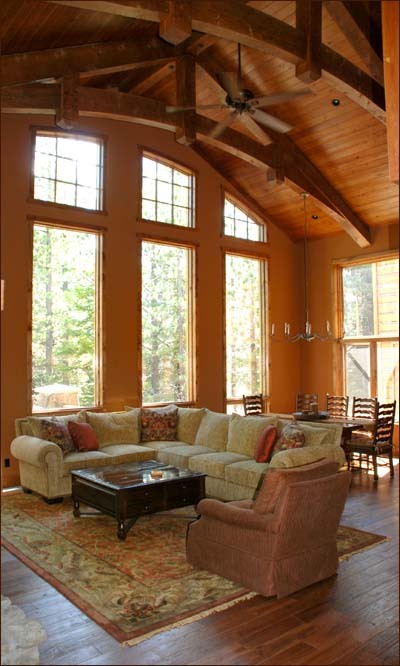 Lull to sleep and awakened to soft mountain light skipping through the windows. 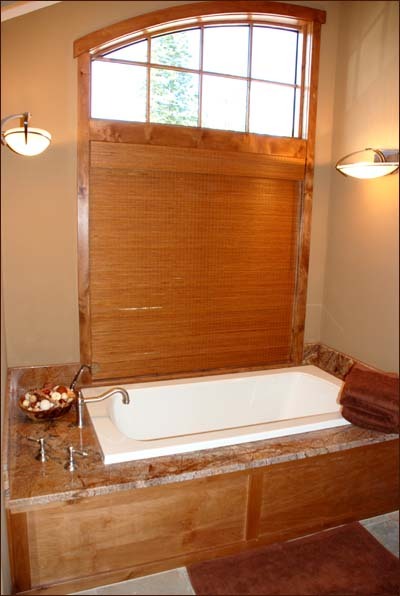 Light a fire, if you desire and soak in the extra large, extra deep bath tub. 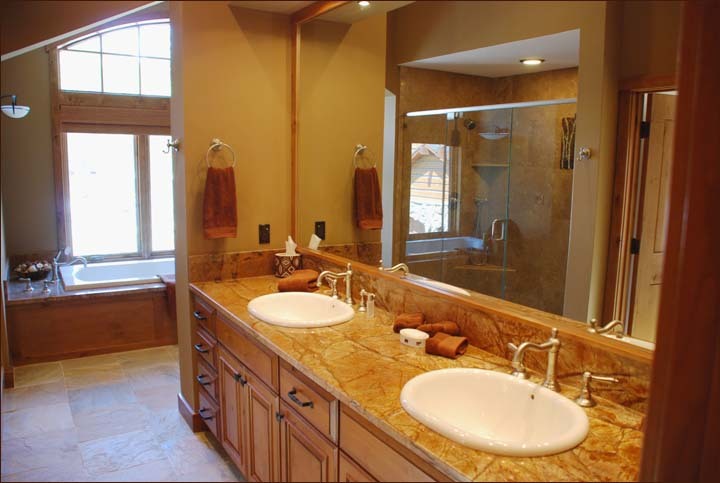 Indulge yourselves with the dual shower and twin vanities, all garnished in natural stone and sculptured in warm woods. 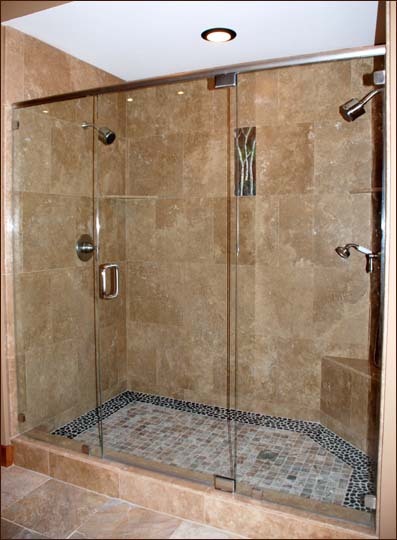 The outside in, creative design, makes every room restore your senses. 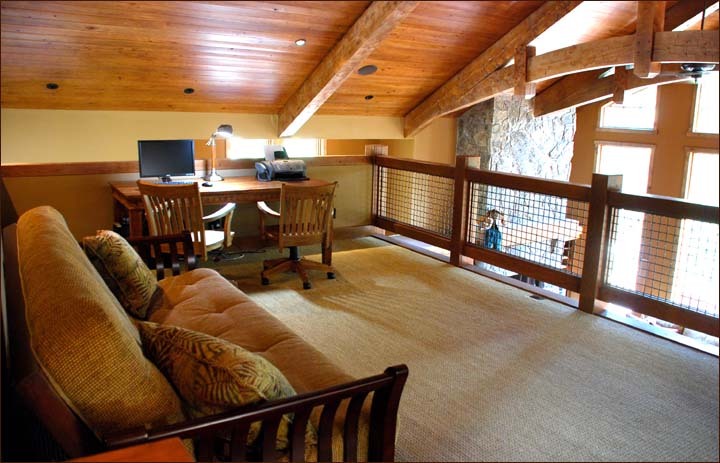 A most lofty loft - an office where you still can enjoy, every aspect of this magnificent home. 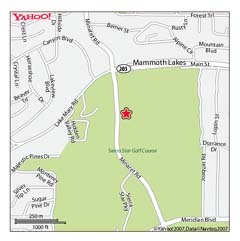 Having wireless Internet, helping to serve those who may have to make contact, even on vacation. 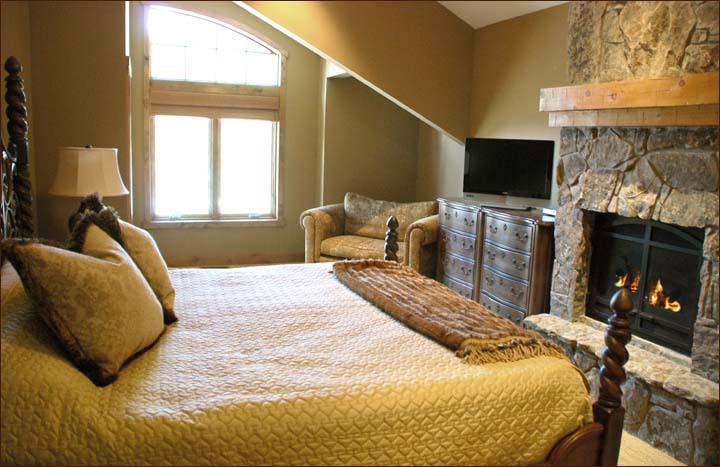 This spacious hideaway offers two full-size futons truly delivering, top of the world sweet dreams. 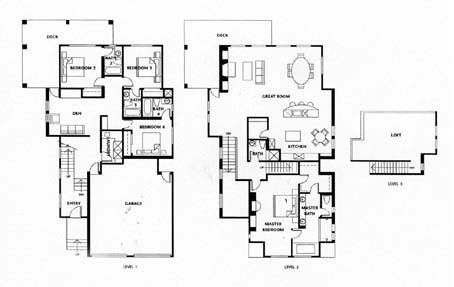 Overlooking the living room guests of the loft, will find a close-by bathroom with shower, at the foot of the loft stairs. 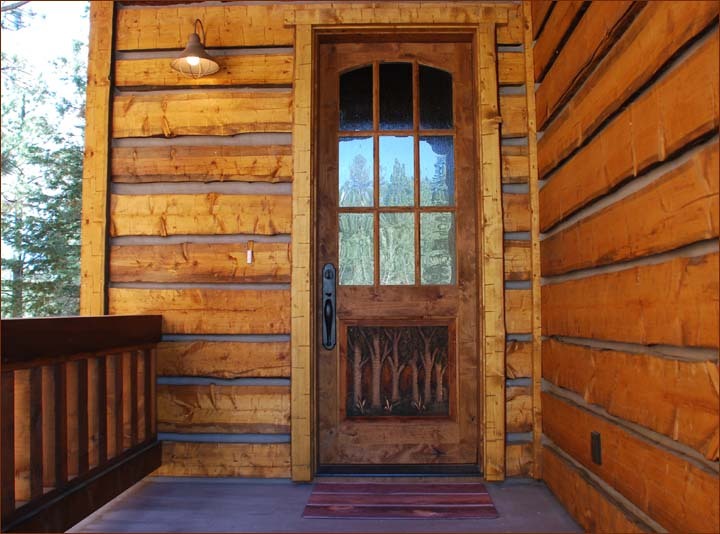 Ones thoughts go to the lodge oppulence of the 1920s.The hand carved front door speaks for the truly wondrous and majestic home you are about to enter. 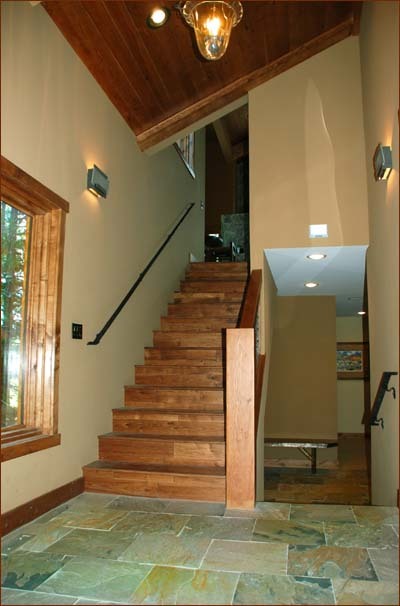 Throughout the lodge distressed hickory flooring and natural stone intermingle like steps on a mountain hike. 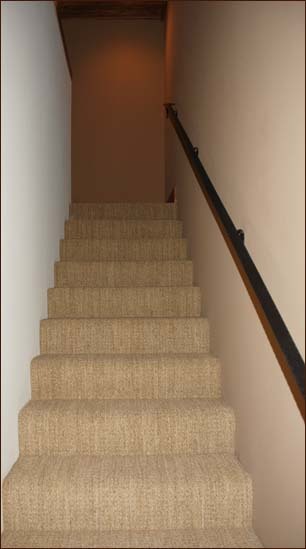 Lotsa space to kick off yer boots. 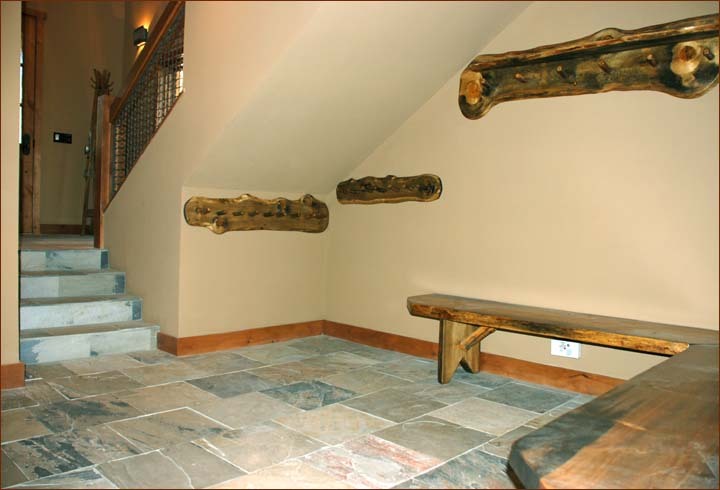 Benches and great-fun, hand hewn coat racks to encourage even the messiest kid to hang up his jacket. 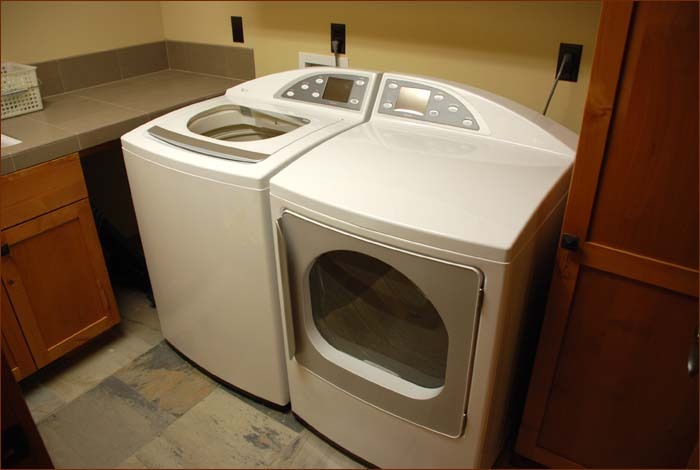 An extra large washer and dryer, a must have for family on vacation. 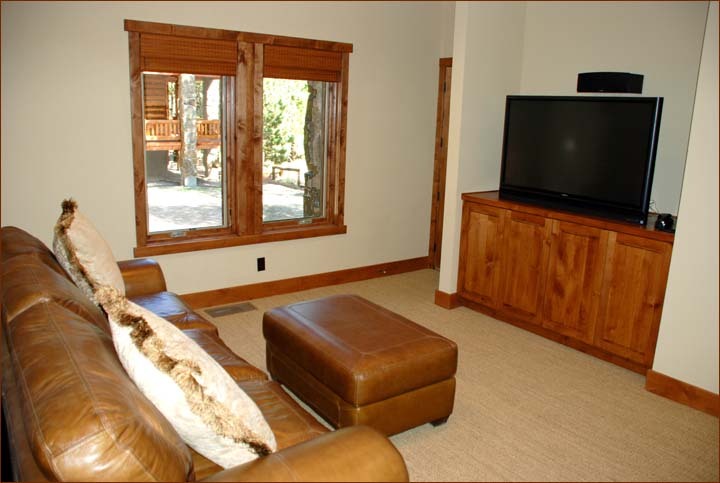 Warm, solid, alder wood finish in the media room brings the outdoors in whilst you and your family gather round on this queen sleeper sofa (air mattress for extra comfort, on top of regular mattress), to be entertained by the top-of-the-line, Toshiba 55" DLP television, with surround-sound and for your favorite movies, there is a DVD player. 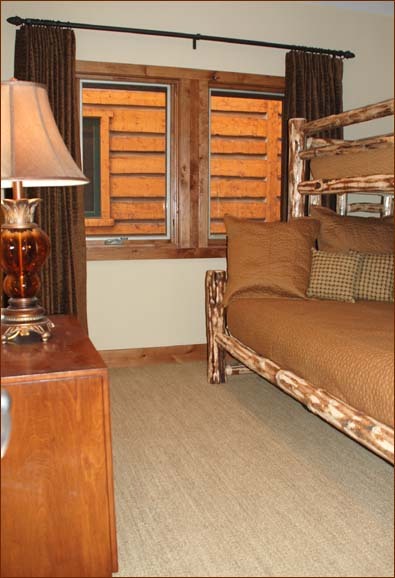 A queen size bunk bed in a great, mountainy peeled log finish with the top bunk, being a twin, makes this sleep-out a cool place to be for your ski-team. 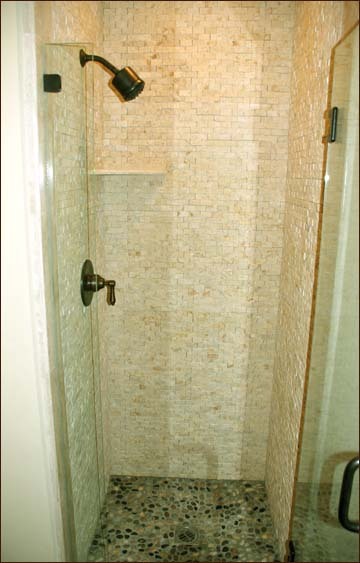 This fun bedroom includes a private attached bathroom with shower. 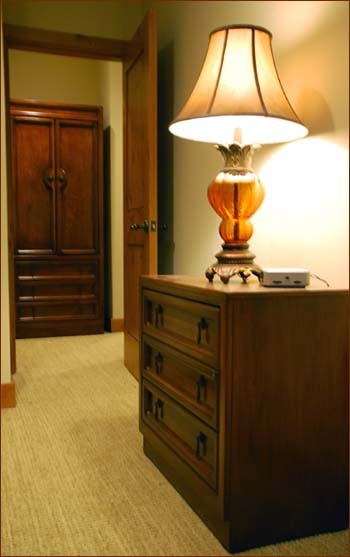 A serene queen bedroom, subtly and tastefully created for your sleeping pleasure. 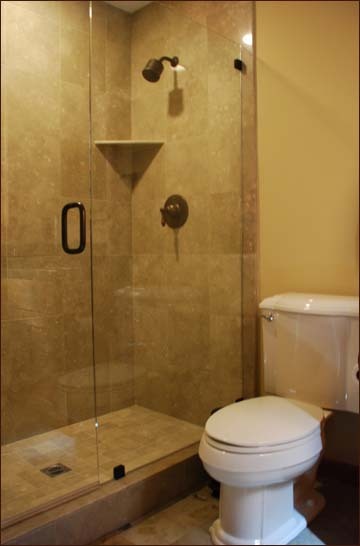 Trimmed out in natural stone and alder, the ensuite bathroom offers every comfort. 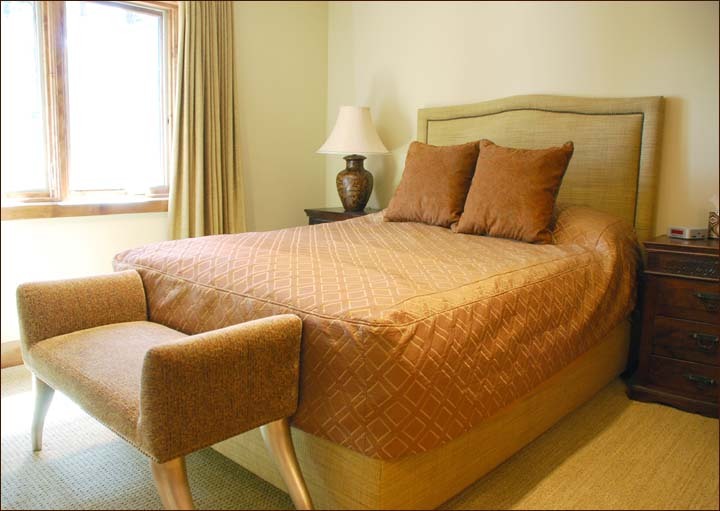 This queen bedroom is sophistication plus with your every comfort nurtured. 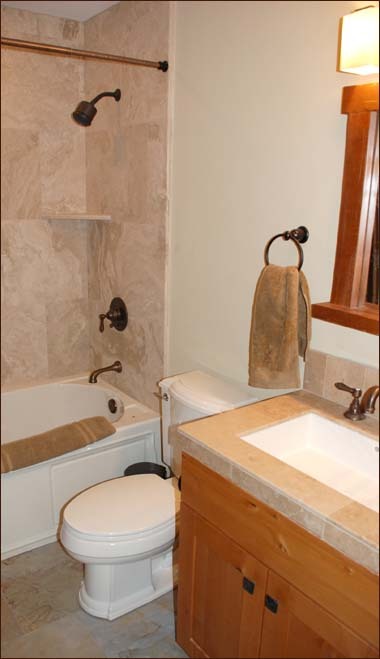 The bathroom is elegance, arts and crafts style. Just the ticket for seven of you! 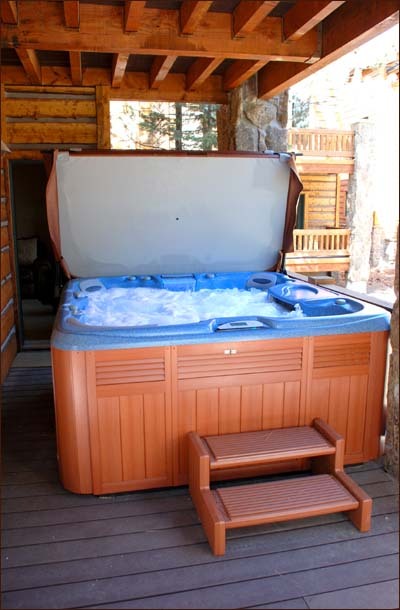 A steaming-hot, private hot tub spa ... what you'll need, after using your lift ticket all day on the slopes of Mammoth Mountain Resort. 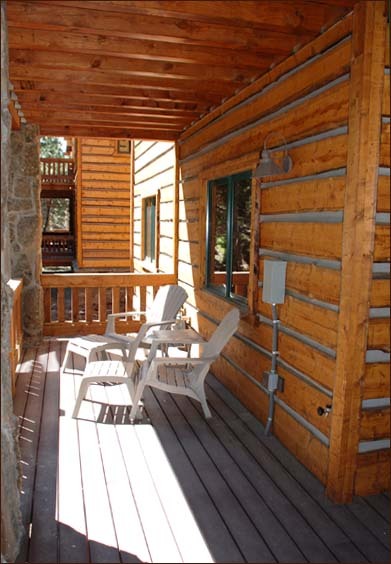 Sun-filled decks give you and your family, secret spaces to stretch out and breath the clean, Eastern Sierra mountain air. Definition: "Rub of the green" is one way in which the Rules of Golf say, "those are the breaks." 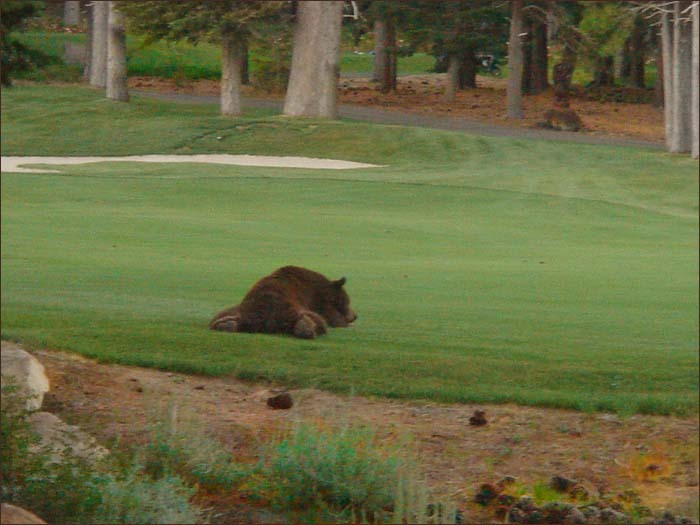 If a ball is accidentally deflected or stopped by an outside agency (caddie, bear, forecaddie, referee, etc...wait, did I say bear? ), it is called "rub of the green" and the ball is played where it comes to rest. No penalty is assessed. Anytime you see "rub of the green" in the rulebook, imagine a rules official shrugging his shoulders and saying, "Hey, whaddya gonna do?" 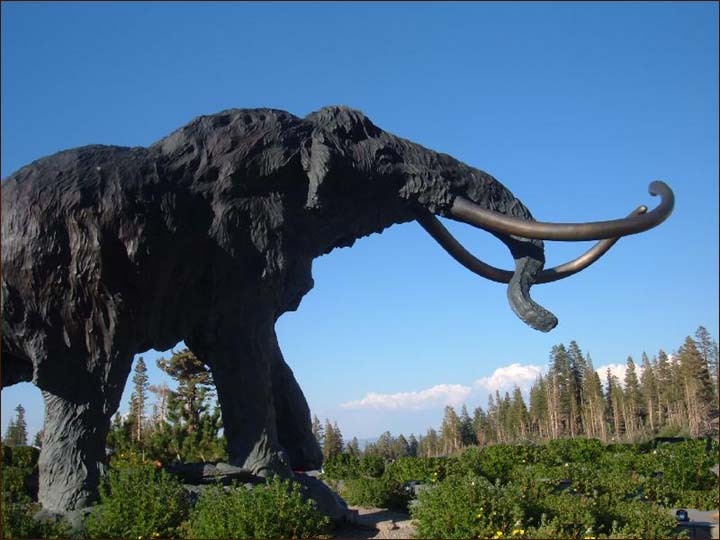 The evolution of Mammoth Mountain and the town of Mammoth Lakes is one diverse in background and history. 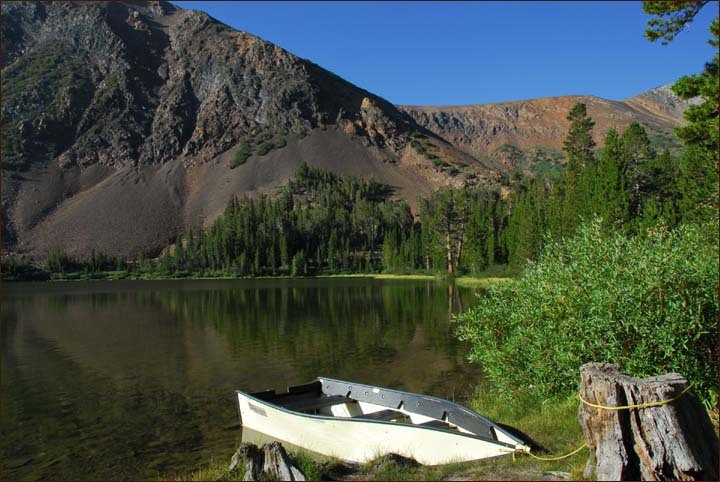 From early settlers looking for riches in the form of gold, to spanning thousands of years back where volcanic eruptions formed the area out of molten rock. 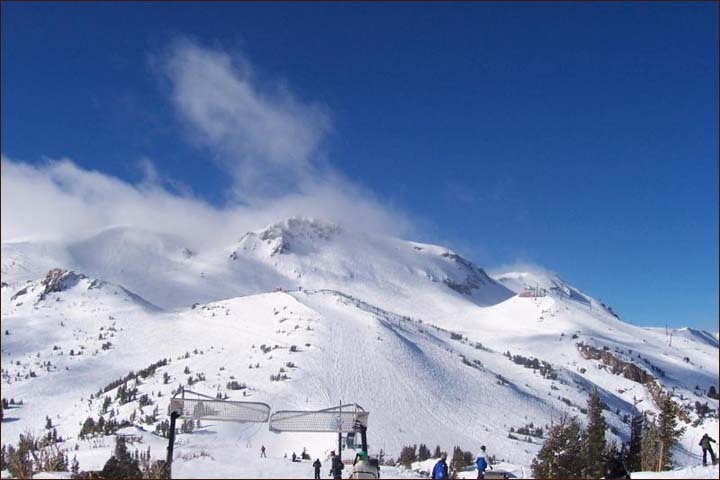 Occupying only a speck on this far reaching timeline but still a monumental moment, Mammoth Mountain celebrated its 50th anniversary during the 2003/04 season. 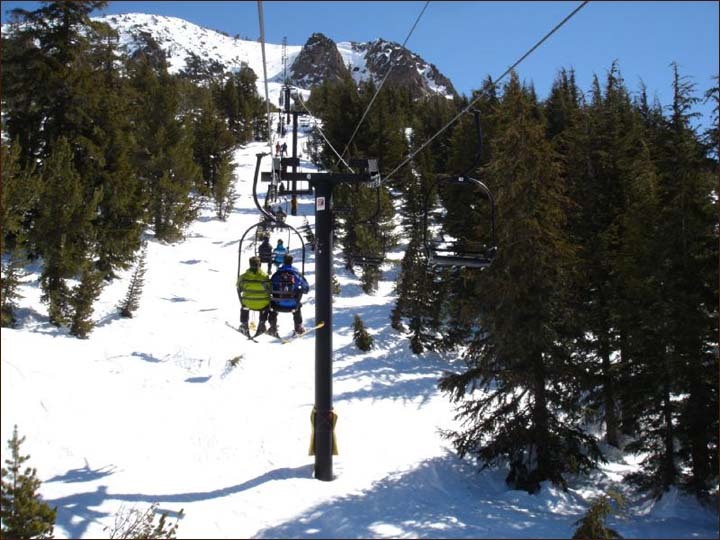 One person's dream has evolved into a half-century of fun, exhilaration and lasting memories for millions of visitors. 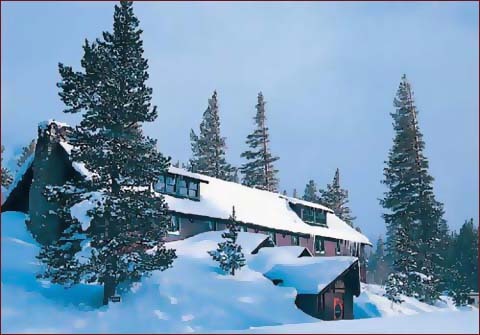 Lakefront Restaurant - Fine Dining Mammoth Lakes - A true culinary gem, this charming dining room hosts ten tables set in the historic Tamarack Lodge with a stunning view of Twin Lakes. The menu changes with the seasons and features fresh, sustainable, locally-sourced selections. Sample Lakefront’s extensive wine selection while enjoying live piano on the weekends. A one-of-a-kind destination for visitors year-round. 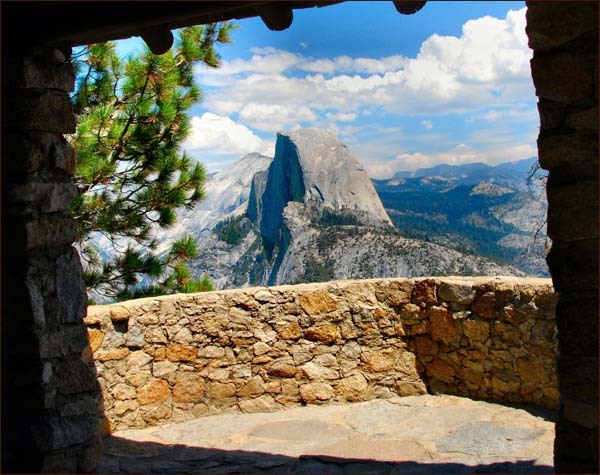 Yosemite National Park You could spend a lifetime in Yosemite and still find more fun things to do. Whether you prefer rock climbing lessons or live Yosemite Theater, you can find it here in Yosemite. 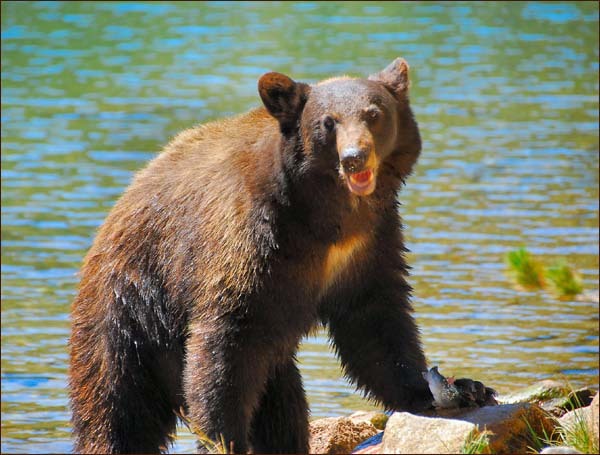 "Living with Bears" Tips One of the exciting things about visiting your National Forests is the opportunity to view wildlife on a different and sometimes personal level. These animals are not in the zoo behind bars, so there are a few simple things that you need to remember to keep yourself, your property and the animals safe while you enjoy watching these critters in their natural habitat. 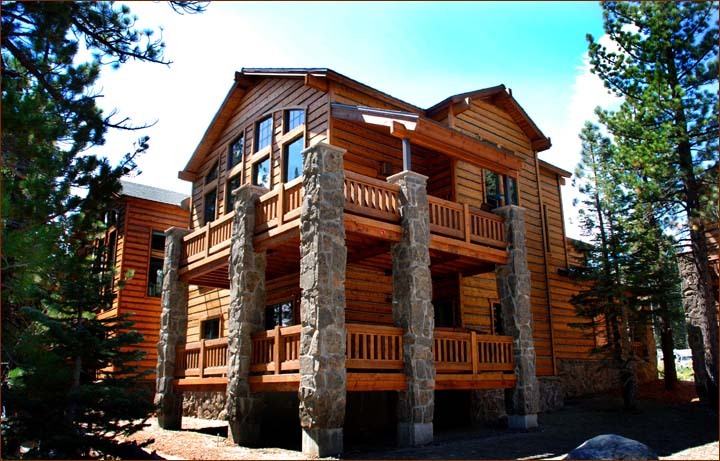 Stonegate Lodge Home Mammoth Lakes is located on the 6th Fairway of Mammoth Lakes Sierra Star Golf Course High-reaching peaks create a dramatic backdrop and you'll have wildlife as an audience. 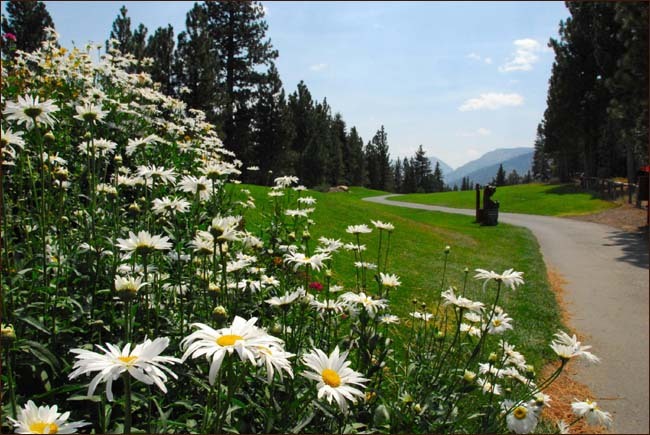 Let the breeze running through the evergreens put you at ease and even shave a few strokes off your game.